HEAD to Rhebogue to befriend Limerick Fruit Suppliers for this winter season of demand. Consider this long established family run business to be your one-stop-shop for all fresh fruit and vegetable needs, culinary and cookware supplies, even fuel for the fire/ stove/ Aga. Open Monday to Friday from 8am to 6pm and Saturday 8am to 2.30pm, customers can choose from the enormous variety of fresh fruit and vegetable as well as many other products. Exotic fruits and vegetables are especially in demand this time of year. Have you much on in terms of hospitality or cooking in the holiday period ahead? Christmas is the ultimate food-rich festival. 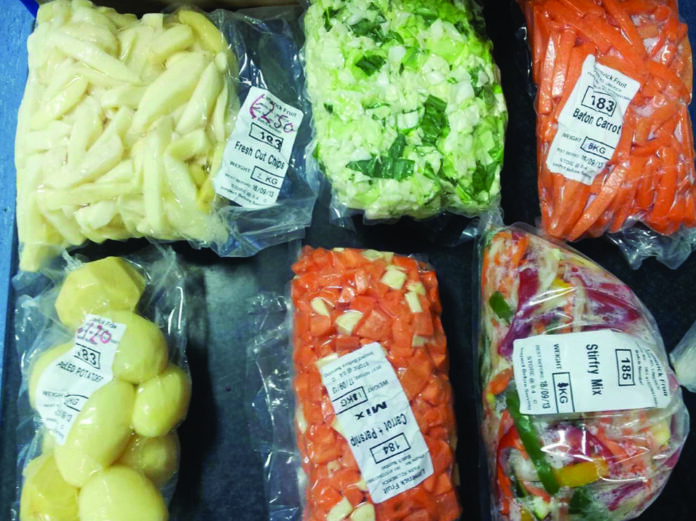 Make it easy on yourself with Limerick Fruit Suppliers’ prepared vegetables and vegetable dinner pack mixes. You can have them sliced, cut and chipped to order. Sprouts, potatoes, chips, carrots, onions, celery, turnip, cauliflower, parsnips, cabbage and leeks are daily staples on sale. Pick up ginger, garlic, chillies, aubergines and all the foods of Asia such as rice and couscous varietals too. Bottled waters, soft drinks, milk and ordinary groceries make shopping worthwhile here plus the additional cookware so useful for entertaining. Furthermore, this wholesale and retail specialist takes care of fuel requirements with gas, coal, briquettes, kindling, blocks and turf stocked.